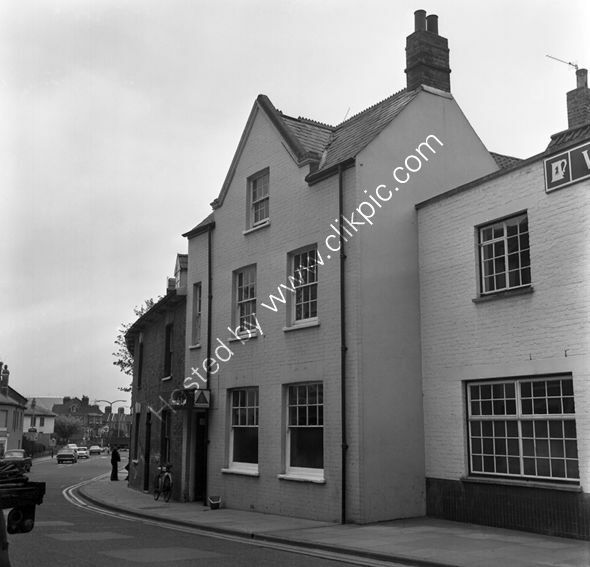 The Fleur De Lys in Bridgwater when it was a Charrington pub in 1973. In 2018 The Sunrise Chinese Restaurant. Alongside the Three Crowns, a Whitbread pub (closed when researched in 2018). On the left hand side of the photo is a BP garage and beyond that, a gas storage tank or gasometer. In the extreme left bottom corner are the empty coal sacks on the back of a flatbed coal lorry. The road to the left is signet Taunton Road. For commercial use of this photograph please visit www.alamy.com and search for RFFCBH but for a one off print, please see below.